Did you know England's oldest commercial railway was opened between Mansfield and Ashfield 200 years ago? Procession enters the station yard. 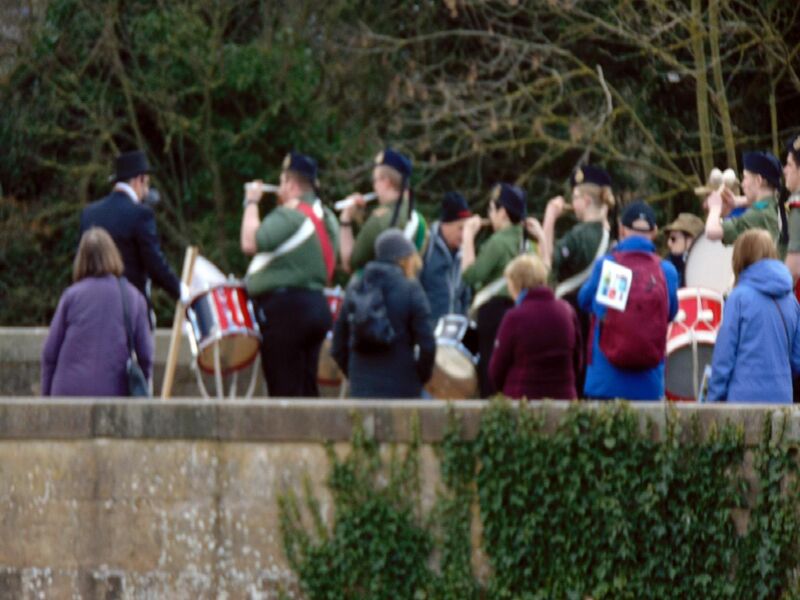 Procession led by Mansfield Corps of Drummers. Marchers reach Mansfield Railway Station. Marchers dressed in period costume .